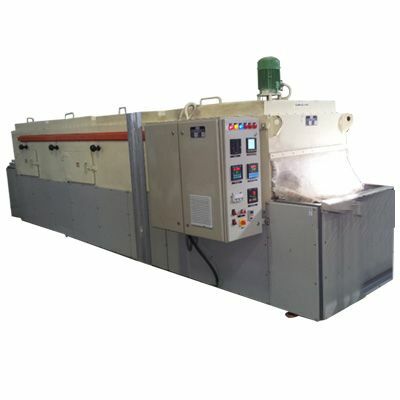 Continuous Furnace as the name depicts designed for the continuous operations and heat every item individually. If you want to buy it as per the need of your process, you can contact Meta Therm Furnace Pvt. Ltd – one of the paramount Continuous Furnace Manufacturers in Mumbai. We are equipped with the best materials and technologies to scale-up our designing capabilities and testing the products before sending to the customers. Industrial Continuous Furnace is a suitable option to be used for large production runs. Continuous Annealing Furnace is available in different varieties, and their designs can be customized as per the need of the process. Continuous Tempering Furnace ensures the uniform distribution of heat inside the chambers. They are used to employ artificial gas atmospheres and convenient to be used with a single workstation. Since our establishment, our name has earned an immense reputation among the top-tier Continuous Hardening Furnaces Exporters and Suppliers in India. If you are interested and want to take this conversation further, call now and have words with our executives.